Iranian Foreign Minister Mohammad Javad Zarif has warned the United States and its allies that it would be 'suicidal' to go to a war with Iran. 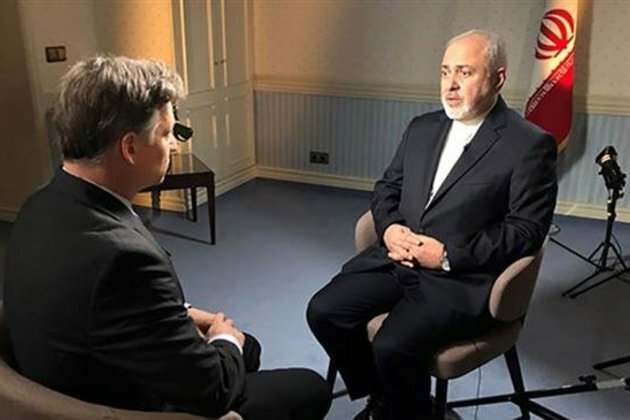 Zarif, who is in Germany to attend the 55th Munich Security Conference (MSC) 2019, made the remarks in a wide-ranging exclusiveinterviewwith NBC News on Friday when asked if there would be a war between Iran, the US and Israel. He said the "same gang" behind the US invasion of Iraq in 2003 were "at it again" in pushing for war with Iran. "I'm not saying [US] President [Donald] Trump's administration, I'm saying people in President Trumps administration are trying to create the same eventually and I believe they will fail," the Iranian foreign minister said. "But I think at the end of the day, some sense will prevail and people will find out that it's suicidal to engage in a war with Iran." The United States, under former President George W. Bush invaded Iraq in 2003, claiming that the then-Iraqi regime possessed weapons of mass destruction. No such weapons were ever found. President Bush later called his decision to order the invasion of Iraq "an emotional one." Bush's successor, former President Barack Obama, officially ended the occupation of the Arab country in 2011. The top Iranian diplomat further said Washington has a "pathological obsession" with Tehran and added, "Iran is different from other countries. The United States is used to dealing with countries that rely on outside as their source of legitimacy [and] as their source of strength." However, he emphasized, Iran has survived for 40 years in spite of the US pressure and not with its support. On Wednesday, hawkish Israeli Prime Minister Benjamin Netanyahu said in a short video recorded on the sidelines of an anti-Iran meeting in Warsaw, Poland, that the event is an open meeting with representatives of leading Arab countries that are sitting down together with Israel in order to advance the common interest of war with Iran. Netanyahus office posted the Hebrew-language video on Facebook and Twitter, in which he could be heard using the Hebrew word milchama, which literally translates to war. It also tweeted Netanyahus remarks on its English-language Twitter account. The Israeli premiers open call for war with Iran led to an uproar on social media and even startled the White House, which had earlier claimed the Warsaw forum was not meant to demonize or attack Iran. The backlash prompted Netanyahus office to quietly delete the tweet and replace it with another one that changed the phrase war with Iran to combating Iran, without issuing a retraction or a correction of any kind. Elsewhere in the interview, Zarif once again expressed Iran's objection to the idea of renegotiating the landmark Iran nuclear deal, officially known as the Joint Comprehensive Plan of Action (JCPOA). President Trump withdrew Washington in May from the Iran nuclear agreement, reached between Iran and the P5+1 group of countries in 2015, and decided to re-impose unilateral sanctions against Tehran. Vice President Mike Pence on Thursday urged Washington's European allies to withdraw from the JCPOA and accused them of trying to break US sanctions against Tehran. "Sadly, some of our leading European partners have not been nearly as cooperative. In fact, they have led the effort to create mechanisms to break up our sanctions," Pence said. Pointing to Iran's attempt to launch a satellite last month that failed to reach orbit, Zarif said it was possible the failure was due toWashington's sabotage campaign as suggested by aNew York Timesreport this week. He added that Iran had already been investigating these failures but was now "looking into the specifics" after the story inThe Times. "It's quite possible. We don't know yet. We need to look into it very carefully," the Iranian foreign minister said. The New York Timesreported on Wednesday that the Trump administration had reportedly revived a secret plan to sabotage Irans ballistic missiles as part of its broader plan to weaken the Islamic Republics military might and harm its economy. It cited current and former administration officials and reported that the clandestine operation has been ongoing for some time now but it was practically impossible to determine whether it has been successful and if yes, to what extent. Iran launched a scientific satellite into space to collect environmental information to boost the country's forecasting system. However, technical problems that occurred during the final stage of the launch prevented the spacecraft from reaching orbit. Iran's Minister of Information and Communications Technology Mohammad Javad Azari Jahromi tweeted on January 15, The Payam (Message) satellite was successfully launched this morning aboard the satellite carrier. But the satellite unfortunately failed to be placed in orbit in the final stage. He, however, stressed that Iran was preparing to launch another satellite, named Doosti (friendship).